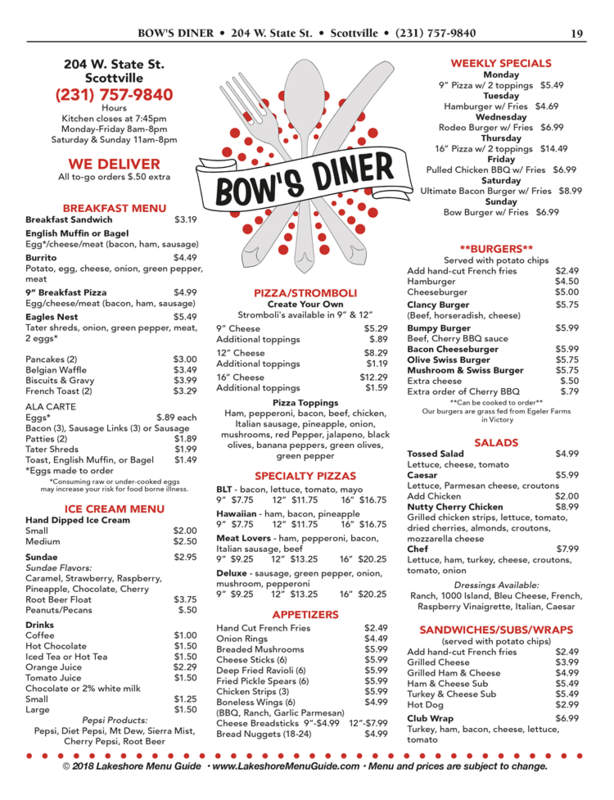 Bow's Diner (formerly Pizza Barn Plus) features a new and exciting menu. In addition to great pizzas and strombolis, enjoy something from the breakfast menu. They also serve burgers, sandwiches, appetizers, salads and tasty ice cream treats. Bow's Diner is open 7 days a week and they deliver!